Robert Henry Frater was born on 13 August 1937 in Sydney, New South Wales, Australia. He obtained the following degrees at the University of Sydney: BSc (1958), BE (1960) and PhD (1967). He was awarded the degree of Doctor of Science in Engineering from the University of Sydney in 1982 and an Honorary DSc by Macquarie University, Sydney, NSW, Australia in 1999. Dr Frater is an eminent Australian scientist and research manager. He is a former CSIRO Deputy Chief Executive responsible for the IT&T, Services and Manufacturing areas. He has an extensive background in successful projects in electronics, IT&T, Electroacoustics, astronomical instrumentation and medical devices with wide experience managing projects across the broader science arena. 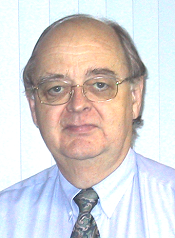 He has considerable experience in the assessment of projects and people. As a student, I worked with AWA as a trainee engineer. I started as ‘battery boy’ with the grave responsibility of keeping the batteries charged on the test equipment around the factory and setting the clocks. Later, I worked with the applications laboratory on aspects of design and manufacture of vacuum tubes, radio and television and did my first transistor circuit design. I was a wireless and audio nut who used the Radiotron Designers Handbook as a Bible, built the latest circuits from Radio and Hobbies and bugged the AWA engineers when I had a problem. While an undergraduate student, I had the opportunity to stand at the back of the Great Hall at the graduation ceremony where Bernard Yarnton Mills received his DScEng. I was profoundly impressed. A few years later Mills was to have a major impact on Bob’s career. After graduation in 1960, he worked with the Overseas Telecommunications Commission (OTC) on High Frequency (HF) antennas and signal distribution systems. One of his tasks was to design some rhombic antennas using a design approach developed by Chris Christiansen from the School of Electrical Engineering, Sydney University. This was at a time before serious submarine cables and a time when people were only starting to speculate on what might be achieved with satellite communication. Around this time I attended an Electrical engineering graduation dinner with some friends and got talking with Ron Aitchison, at that time Assoc Professor in Electrical Engineering. Ron offered me a job in Electrical Engineering working on the electronic design for the Molonglo Observatory Synthesis Telescope, a modification of the East-West arm of the former One-Mile Mills Cross telescope. Electrical Engineering was collaborating with Physics on the project. I jumped at the opportunity. My experience and contacts from my earlier work with AWA, OTC and Ducon proved to be very valuable and we were able to access technology that was not generally available. The Mills Cross experience was to be a very formative one for my career. I am very much the product of that experience. The most fundamental thing was that the specifications Bernie had set could not be met with the technologies available at the time. Bernie had in mind an instrument where the technical demands stretched significantly beyond the technology of the time. The dynamic range he required in a system where the signals were combined to form real-time beams just couldn’t be met in any simple way. Measurement techniques were inadequate for the purpose. There is nothing like having an environment where “it can’t be done” to stimulate new ideas. For me, it was my ‘sandpit’ with all sorts of opportunities to play in ways that exceeded my wildest dreams at the time. And the people I played with in that sandpit were very special, too. Of course, Bernie, as the visionary and the leader, provided a demanding framework. The Molonglo Cross was great technological and astronomical achievement – a radio survey instrument with resolution comparable to the human eye. It provided training of many people who went on to contribute more broadly in both the astronomical world and beyond. It provided a clear demonstration of the benefits to those involved of working on large projects. It provided a clear demonstration of the flow-on technological benefits of these projects. For me, it provided the opportunity to be part of history, to do a PhD and be made ready for what has been a very interesting and exciting career. Radioastronomy exposed me to the world. After obtaining his PhD, Bob Frater was a Lecturer, then Senior Lecturer in Electrical Engineering from 1968 to 1974 and Associate Professor of Electrical Engineering from 1974 to 1980. He served as a Member of the International Astronomical Union in 1972 and since 1979. In 1980, he was appointed Professor Director of Fleurs Observatory (University of Sydney) and selected as Chief Designate of the CSIRO Division of Radiophysics. gave him an appreciation of the huge spinout benefits that come from meeting the demanding needs of new instruments. He was a Member of the CSIRO Executive as Director of the CSIRO Institute of Information Science and Engineering (a group of CSIRO Divisions) from 1988 to 1996 and Deputy Chief Executive, CSIRO from 1996 to 1999. He was made an Officer of the Order of Australia in 1996 for his contributions on the Australian and International scenes, including his work on the development of the Australia Telescope at Narrabri in northern NSW, which was opened in 1988. Bob Frater resigned from CSIRO in 1999 to become Vice President for Innovation with ResMed Corporation (a US$2.5 billion medical devices company). Since 1999, he has also served as Chief Technology Officer with VC company Innovation Capital Pty Ltd and is a Board Member of Neuromonics Pty Ltd.
Frater RH, 2010, Personal communication.